Normally I wouldn't review two books in the same post unless they were from the same series, but I was so blown away by Quanie Miller's ability to switch up genres and hit them both out of the park that I wanted to share both of her books with you. I can’t remember the last time I cackled so hard while reading a book. Jasmine T. Peacock, known as Jazzy to family and friends, is an absolute riot. When we first meet her, she’s healing from a broken relationship with her ex, Curtis. She thought he was “the one” until he asked her to cosign on a car for him. One thing Jazzy is not – a fool. And just when she thinks she’s done with him, he pops back up as her cousin’s fiancée! Mercedes and Jazzy have never gotten along. Family members are amused by the cousin’s ongoing battles, but Jazzy isn’t. To save face, she brings Reggie, a mall kiosk owner who’s trying to get close to her, to a family function celebrating the recently engaged Mercedes and Curtis and hijinks ensue. Between Jazzy’s crazy, secretive employers, the restaurant shootout she witnesses (but remembers to grab her food before diving under a table), a mama who spies on neighbors more than Pearl Shay ever could, her sister and her sidekick, there is never a dull moment in her life. And that is what makes this book so amazing. 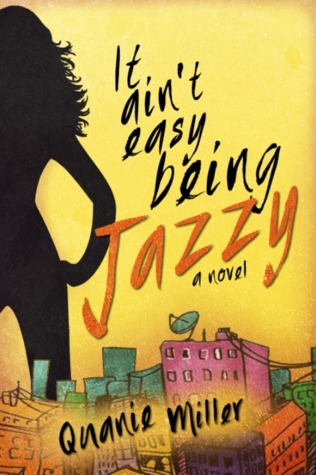 Far too often black women in chick lit don’t get to be silly and average. It’s like there’s always this superwoman image to uphold and they don’t get to let their hair down. They’re stars at work, but have lackluster love lives. Or they’re wealthy and just need a man to complete them. I could go on and on, but what I love about this character Quanie Miller created is she has nothing together. She works a crappy job. She lives with her mother and her sister. Her friends don’t have it all together either. Very few people in her circle do. It’s refreshing to see real people reflected in these characters. I would love to see a series of Jazzy books. On the flip side of chick lit, Ms. Miller takes us to the small town of Carolville, Louisiana for her next story. Leena Williams is about to marry the love of her life. The guests have arrived and Leena is stunning in her gown, but her groom is missing. Instinct leads Leena back home where she finds a Dear John letter from the love of her life and the father of her child. Johnny has left her. Hell hath no fury like a woman scorned and Leena is determined to find out what or who came between her and Johnny. Adira Collins is a beautiful woman. Only a woman as captivating and cunning as she is could pull Johnny away from Leena and their son. But when Leena goes snooping into Adira background, bad things start to happen. Adira is dangerous and everyone from her past tells Leena that, but do you think she listens? Nope. I was yelling at her as I read the book. “Girl, go find another man. Johnny probably wasn’t even that fine.” Adira possesses levels of evil that Leena can’t even fathom and as she goes to battle with her, she’s going to need all of the help she can get. This book was such a departure from Miller’s first book that it was hard to believe one person wrote both. 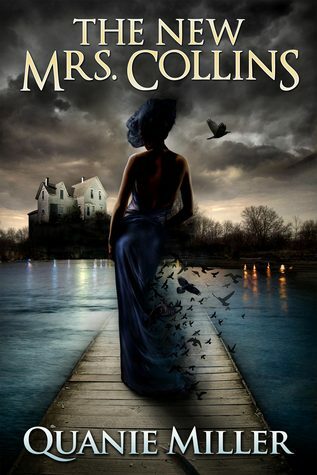 It’s such a huge genre skip to go from chick lit to paranormal, but she does it well. The characters in The New Mrs. Collins were just as developed and believable as those in It Ain’t Easy Being Jazzy. Though the author has only put out the two books thus far, I look forward to reading a lot more from her, regardless of the genre.